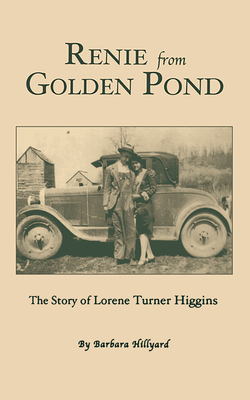 (from the Introduction) Renie from Golden Pond is the true life story of Lorene Turner Higgins. Her story begins with her birth, which was in a log cabin in the Fenton Community, located in Trigg County in what was known as "the land between the rivers." It continues to present time, where she now resides in Cadiz, Kentucky. Lorene, whose pet name is "Renie", married at the young age of fifteen to Lawton Higgins, a seventeen year old moonshiner from the neighboring community of Oak Ridge. Needless to say, the continuing saga unfolds many humorous, heart warming and exciting events. The sweet innocence of the youthful lass depicts the overwhelming emotional trauma she experiences as she copes with being married to a moonshiner; living with her mother-in-law, Ma Annie; after a year of marriage, giving birth to her first child, Virgil, who is deaf; and while he is a baby, having her second child, Doris.